Salerno is the ideal place for combining the study of italian language with a holiday rich in art, history, culture and sea. Here you will live the authentic italian life, and get to know its rythms and its atmosphere. We will be happy to welcome you in our charming environment. Italian has the biggest number of words to describe food. Enjoy Italian culture like movies, music and literature without the need of subtitles or translations. 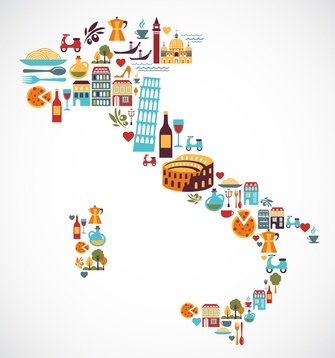 Take a culinary tour of all the regions of Italy. Italy has the most cultural heritage sites in the world according to UNESCO. Italian is the language of music. Italians are very welcoming and will make you feel at home. Travel to Italy and explore all the magical places to see. And you? What reasons do you prefer? L'Italia ha il maggior numero di siti del patrimonio culturale nel mondo secondo l'UNESCO. Gli italiani sono molto accoglienti e vi farà sentire come a casa. Viaggiare per l’Italia ed esplorare tutti i suoi luoghi magici. E tu quale di queste motivazioni preferisci?